THIS WEEK’S OTHER FEATURED BOOKS, “A SPIDER SAT BESIDE HER,” BY K.E. LANNING AND “BLUE OR BLUE SKIES,” BY ROBIN STRATTON, CAN BE FOUND BY SCROLLING DOWN BELOW THIS POST, OR BY CLICKING THE AUTHOR’S NAME ON OUR AUTHOR PAGE. SUMMARY: Seattle, 1983. 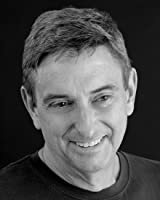 Frightened by the growing epidemic that has stricken his friends, Jeff flees New York for the Pacific Northwest, only to realize AIDS has a foothold in his new home. As he distracts himself with alcohol and one-night stands, Jeff meets Henry, an alluring younger man with a weakness for heroin. Despite the jarring contrasts in their personalities and backgrounds, the two are drawn inexorably together. But as their love develops, so do numerous complications. In an effort to halt their freefall into addiction, Jeff and Henry move in with Nan, a middle-aged divorcee who has turned her home into a sanctuary for gay men in crisis. The Rise and Fall of the Yellow House revisits the early years of AIDS in the Northwest with vivid detail, unrelenting honesty, and a profound compassion for a generation lost to the plague. WHY SOMEONE WOULD WANT TO READ IT: This is a novel, based on a true story, about gay men in the Pacific Northwest in the first years of the AIDS crisis. John Whittier Treat lives in Seattle with his husband after growing up in the Northeast and living in Japan and Korea for many years. Treat has taught literature at the University of Washington, Berkeley, Stanford, the University of Texas and Yale. He has also spent time as faculty at universities in Australia and Norway. He has published short stories in Section 8, Jonathan, A&U Magazine and the QDA: Queer Disability Anthology. His work will also appear in an anthology of HIV/AIDS poetry now being edited by New York poet Michael Broder. 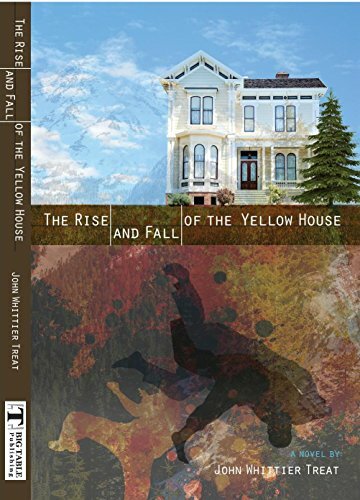 In 2015 Big Table Publishing Company issued his novel, The Rise and Fall of the Yellow House, about the early years of the HIV epidemic and drug addiction in the Pacific Northwest. It was a finalist for the Lambda Literary Foundation’s Award for Best Gay Fiction in 2016. His opinion pieces have appeared in the New York Times, the Huffington Post, and Out magazine. Treat is now at work on a novel about a stutterer who saves the world, First Consonants, and the University of Chicago Press will publish his history of modern Japanese literature in 2018.